See Capital City Kubota for all the latest "power tools" you'll need to take care of your yard and the larger projects at home and work. Capital City Kubota has an extensive inventory of guaranteed, used equipment that gets the job done for less. Keep your Kubota at the top of its game by using only Kubota lubricant and parts. 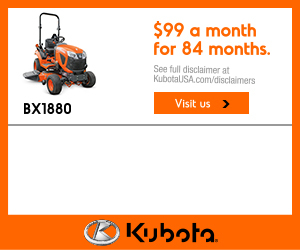 See what's available at Capital City Kubota. Capital City Kubota offers a complete line of new and used Kubota compact equipment including, but not limited to, mowers, skid-steer loaders, excavators, tractors and attachments. As a part of parent company Capital City Equipment Company, established in 1976, Capital City Kubota is central Iowa’s Kubota sales and service leader. 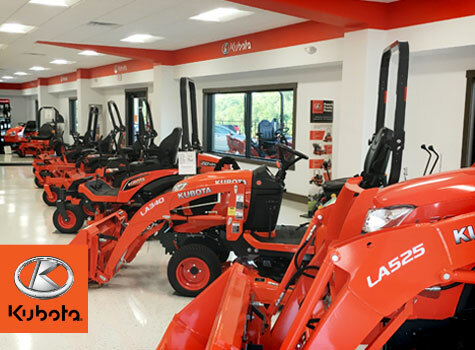 Our new, Kubota-only dealership allows us to specialize and carry more of the Kubota line. We’re your trusted source for all compact Kubota equipment. With our network of products and factory-trained technicians, we have you covered whether you want to buy new equipment or used equipment, lease, rent or need service done. To see our complete line of Kubota equipment, please stop by. In order to supply top notch service and dependable product support to our customers, we provide up-to-date news and specials on service, equipment and parts.